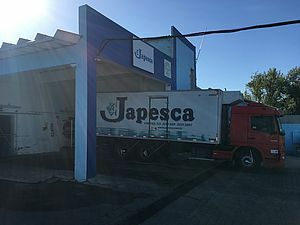 Japesca is an owner-managed company which buys the local fish from São Lourenço do Sul for the fish processing. Japesca sells the fish to major customers at the public market in Sao Paulo or at its own stores in Porto Alegre. In addition, Japesca operates a franchise system for restaurants under the same brand, a shop for sushi ingredients/accessories and a store for fresh fish (Mercado Publico). The ROSOMA Team visited their facilities and welcomed the company as part of the project. ROSOMA Team visited Frumar, a Brazilian fish processing company and distributor for salmon, tunafish and Sole. 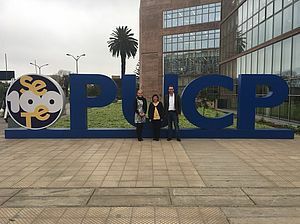 The meeting was mediated by FIERGS and Raquel Giehl from the PUCRS joined the ROSOMA Team. 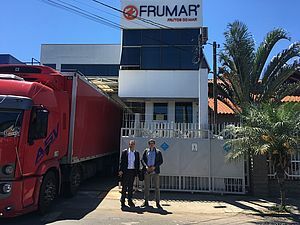 Frumar has a fish processing facility located in San Leopoldo, 40km from the city centre of Porto Alegre, where they filetting the fish for the internal brazilian market and for the export. The fish processing includes as well frosting capacities and a packinging unit. Furthermore Frumar operates two distribution warehouses. One the central food market in Porto Alegre and one in Itapema in Santa Catarina. The salmon is supplied exclusively from aquaculture from Chile with the company's own trucks. Lenguado and tuna depending on the offer. 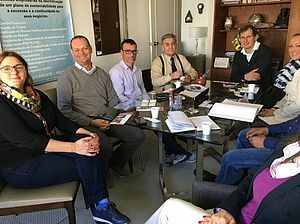 In the afternoon Mr. Griebenow had several networking meetings as with Mrs. Varella Rios (International center for business in Paraná), Mrs. Schünemann, Mr. Nowaczyk and Mr. Fontana (from the ministry of economics of Rio Grande do Sul), Mr. Muttoni Deambrosis ( Foreign trade Consulting), Mr. Lorenz and Mr. Guiterres (Sulmaq – a financing partner), Mrs Santander (Consultant/Agent), Mr. Kurtz (sales representative and consultant for Brazil) and. Mr. Hormann (Colosalfish GmbH). In particular with Mr. Hormann ROSOMA is planning a follow-up meeting on a possible cooperation. Colossalfish has also started to develop the Brazilian market and is interested in a collaboration. The company offers equipment for fish farming according to high standards of sustainability. 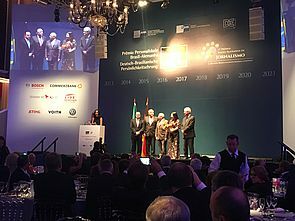 The german chamber of commerce and the company association FIERGS invited to the honoration of german-brazilian personalities. 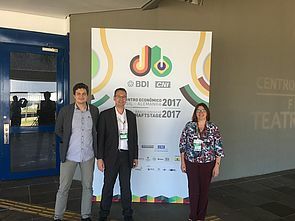 During this event Dr. Griebenow got to know the Brazilian representative Mr. Johannes Klingberg of the VDI (the german association of engineers). 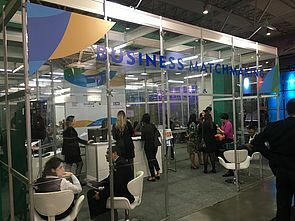 They are well connected to german and Brazilian companies with regard to automatization . Furthermore he will provide contacts to the Fraunhofener Institut researching on zero emission fish farming in Chile. Furthermore he met again the lawyer Mr. Tim Rauschning from the law office “Luther” in Hamburg. 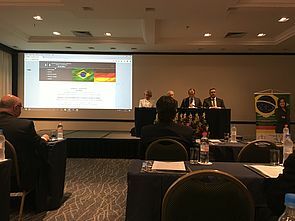 He is member of the latin America association of economic relationship with Germany and his law office is well connected to partners in Brazil. Dr.Griebenow joined the Sejubra Meeting. Sejubra is a german-brazilian legal association. 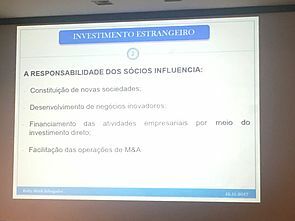 The Symposium was focused on business and investments regulations in Brazil. 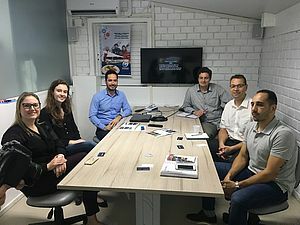 On July, 3rd 2017 the representatives of ROSOMA and ENVITECPRO arrived at Porto Alegre for the first time. 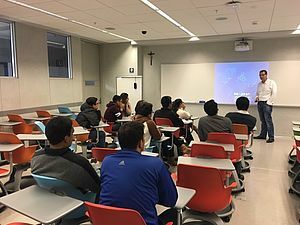 Prior to the journey we hold a lot of skype conferences to organize our visit and to prepare the meeting with the Pontifical Catholic University of Rio Grande do Sul (PUCRS) and to assure other project meetings with local representatives of different kind of institutions. On the first day we met Profs Elisabete Haase Möllmann and Marcus Seferin to sign the originals of our collaboration agreement and to prepare the scheduled workshop with the local students. Furthermore Mr. Maciel joined our meeting, because he would like to participate within the project and shall evaluate the sustainability of the project results. On the next days the team had a lot of further meetings, for example with Mr. Sukup from the AHK (Außenhandelskammer). He explained us the main working areas of the AHK in Porto Alegre. In particular he could provide us contacts of other German companies with a long business relationship to Brazil. In addition he explained the custom regulations and how to apply them to ROSOMA products. Afterwards we had a meeting with Mr. Trautmann from the German consulate, he was also very helpful and he offered poltical support for our project. 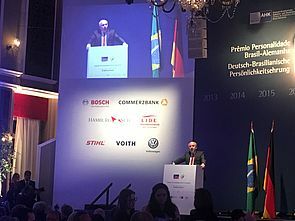 We also spoke about the future partizipation at the German Brazilian economic days in November in Porto Alegre. 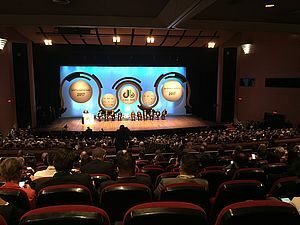 This conference is organised by FIERGS (Federacao das Industrias do Rio Grande do Sul) an official organisation of Brazilian companies. The represantatives of FIERGS invited the team to their office building, so we spoke about the possibilities to present the project within the conference. Also FIERGS will participate in our project as a research team to provide economic datas of the fishing sector in Brazil. There has been the opportunity to present the project to the consultants from ESGeminez, represented by Mr. Santander-Gimenez and Mrs. Santander. Both have many years of experience in abvising brazilian companies. 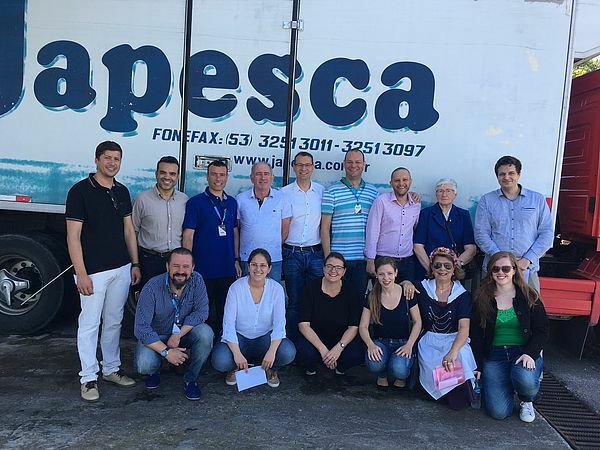 One of their clients - Japesca - is a fishprocessing company and they run also 13 fish-restaurants in the region of Porto Alegre. 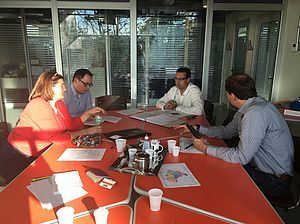 We agreed on a cooperation and looking forward to visit the company site of Japesca during our next visit in november.